Lens Description: The Bower SLY 358S 8mm f/3.5 Ultra-Wide Fisheye Lens with a 180° angle of view, allows the photographer to see his subjects in unique way. This ultra-wide delivers a rounded perspective, well-suited to landscapes and unusual portraiture. It has multi-coated elements and a fixed petal-type lens hood to reduce flare and ghosting. 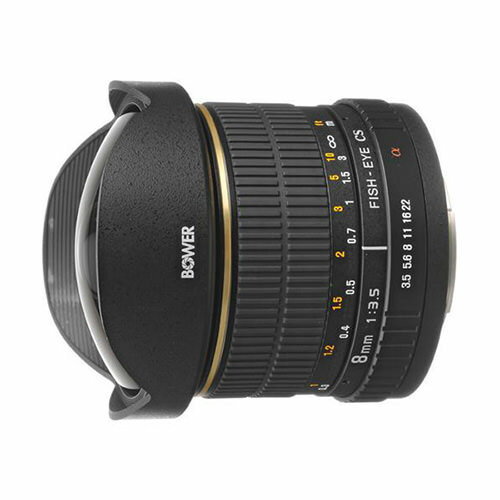 This lens must be used in manual focus and manual exposure modes.